Around our house, a bunny is not called a bunny. It is not called a rabbit. It is not called a hare or the lesser known cony. Instead this furry, long-eared, bushy-tailed, burrowing animal is fondly known as a “Hoppy”. My middle child, Emily Jane, started out calling all animals not by their names but by their sound. A bunny doesn’t really have a sound. But it does hop! So “Hoppy” was the name she assigned to it. Her favorite animal she likes to cuddle with at bedtime happens to be a bunny, and she lovingly refers to it as ‘Hoppy’ too. Other animals she now calls by their actual names for the most part, but a bunny is still a “hoppy”… and I think it will remain that way for quite some time. Maybe forever. 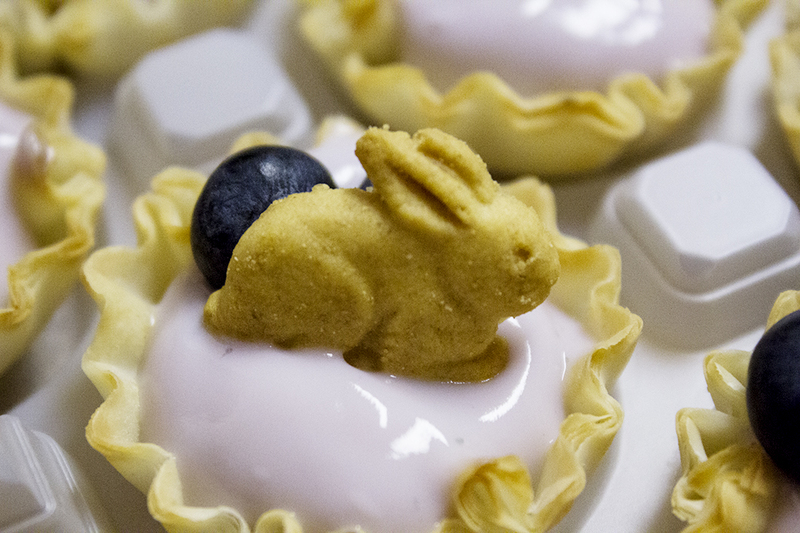 I would have called this recipe “Berry Hoppy Yogurt Bites” but “Berry Bunny Yogurt Bites” sounds a little better since berry, bunny, and bites are all “B” words. So I forsook the family name for little cotton-tail and went with the cuter-sounding version. Call it what you will… these are DELICIOUS! They are usually found in the freezer section as they last longer frozen. 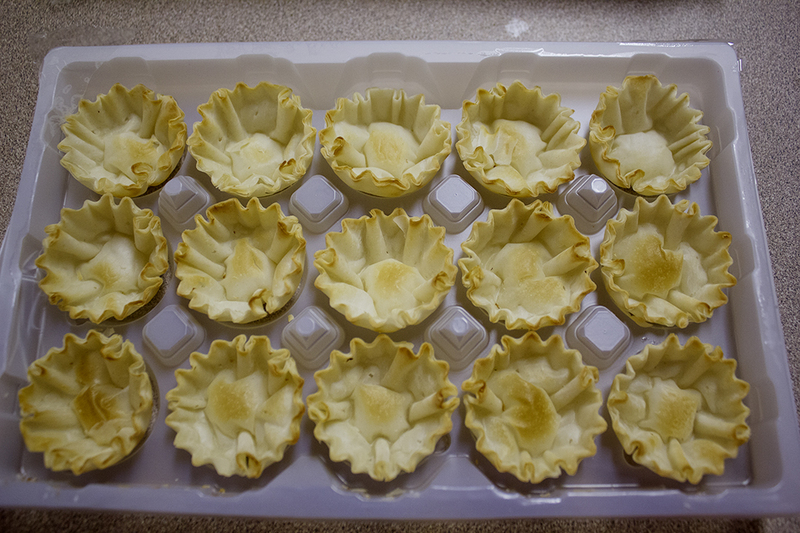 But you can keep them at room temperature for A LONG TIME… weeks I think… so they are ideal for make-ahead snacks. You can defrost them way ahead so they’re ready. Then you just fill them and garnish! It’s almost not worth a step-by-step. This seems to be a running theme with these EASTER BRUNCH recipes I’ve concocted. But that’s a good thing! Right? Easier equals EASE. And that word sounds wonderful on any busy holiday! 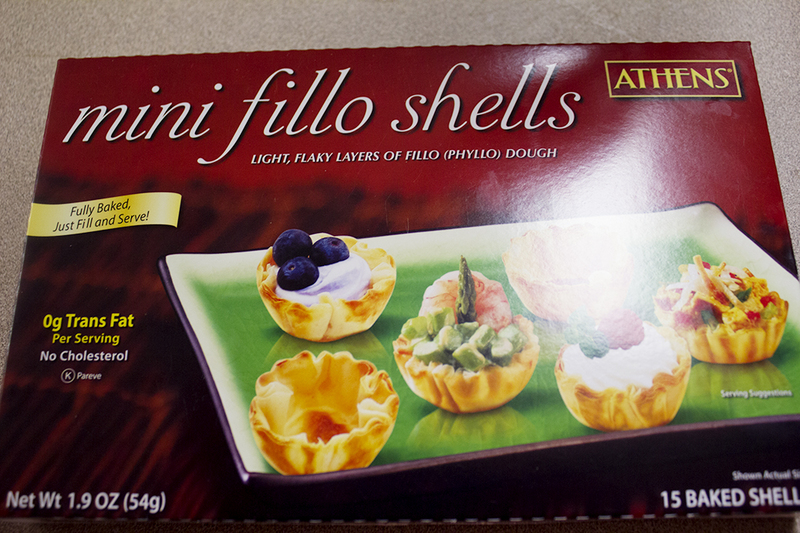 Open your defrosted mini phyllo shells. 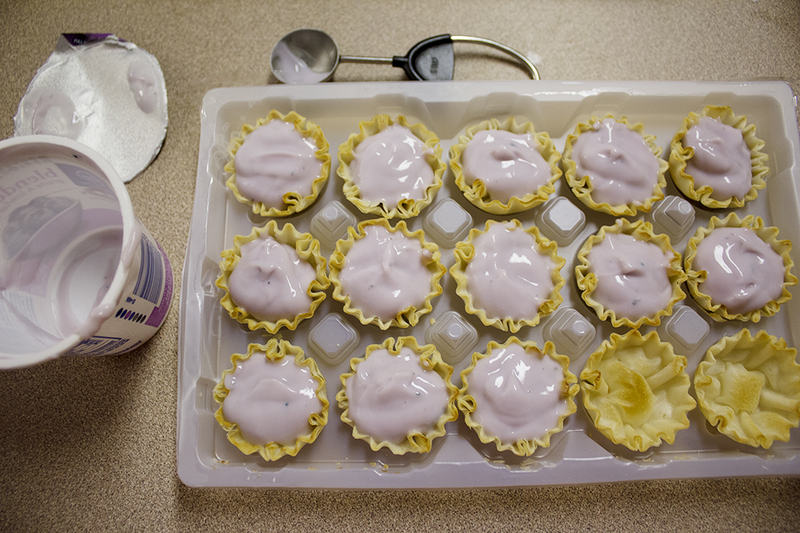 Fill with blueberry yogurt (or whatever yogurt you like). 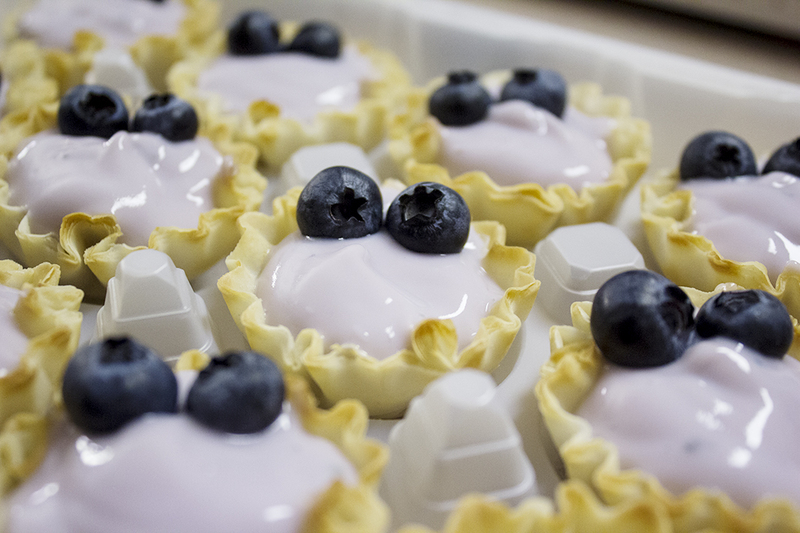 Garnish with blueberries. Or whatever fruit you like. 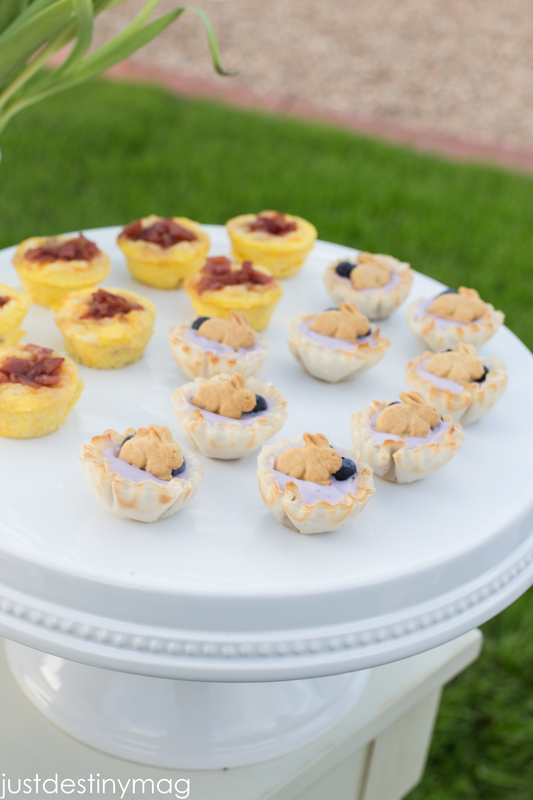 Lean a “Hoppy” up against the blueberries in each of the bites. 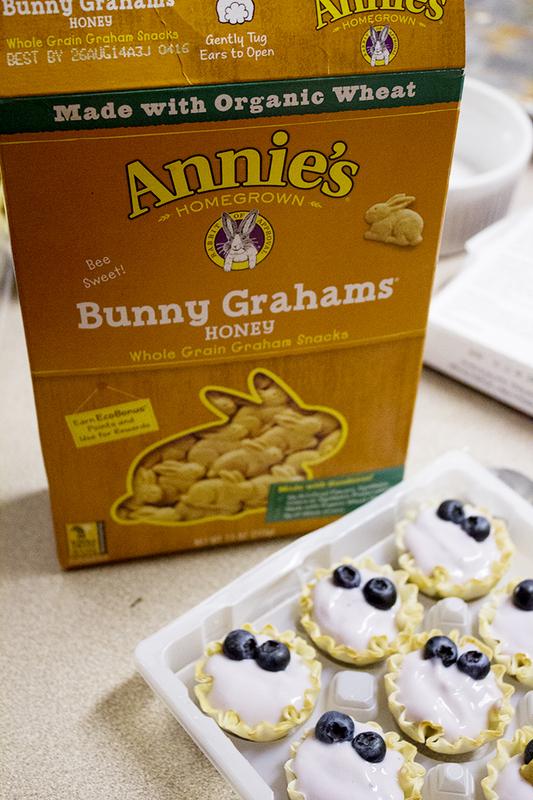 Annie’s Bunny Grahams are so tasty! And cute! Your kids will love them. 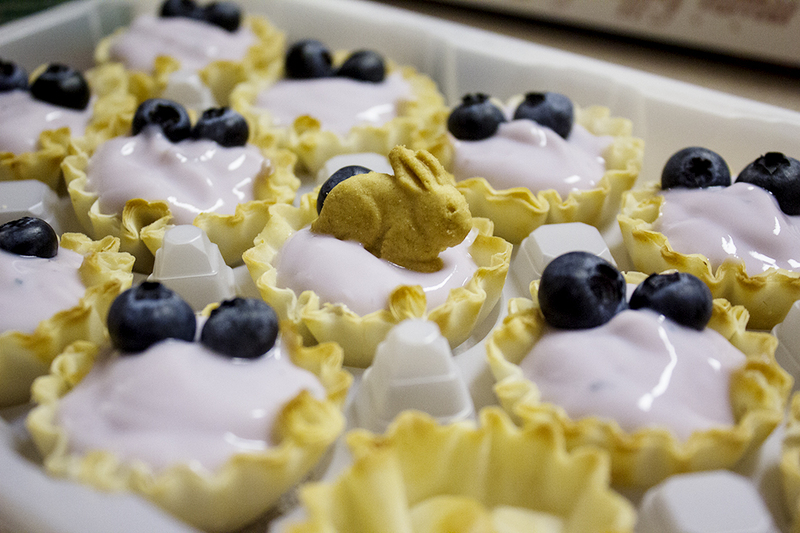 They are perfect for the Easter holiday or anytime really. My kids are bunny… Ahem… I mean “Hoppy”-obsessed, so they are a big hit around here. You could use teddy grahams instead of course. But why would you at Easter-time if Annie’s are available to you? They are the perfect fit! See. Told you it was almost silly to do a ‘step-by-step’. Haha. « Easiest Mini Rice Krispies Nests EVER! oh gosh they’re so cute! they also look simple, which is my favorite way to do things haha. I love spring! new buds in my garden and pictures of bunnies and flowers everywhere.